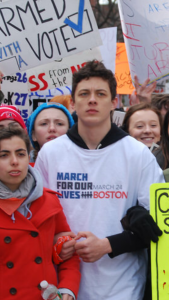 As we approach the 50 Miles More Massachusetts march from Worcester to Springfield, we’ll be posting blogs written by the student organizers. The march will be held August 22nd through August 26th, with a rally outside of Smith and Wesson at the end. The entry below was written by Jack, a 16 year-old student leader from Sommerville, MA.